Dozens of interns from across the country joined the competition organized by the Council. The jury, composed of members of the Board of the Council selected five finalists: Boris Akaliev (intern at Mtel), Victoria Radeva (Junior Achievement Bulgaria) IVIA Mladenova (CEZ Bulgaria), Miroslava Marinska (UniCredit Bulbank) Yanita Simova (AstraZeneca ). The competition was part of the National Student initiative under the patronage of MEP Eva Paunova, who personally handed the awards in the competition. Special guest of the ceremony was the mayor of Sofia Yordanka Fandakova. The winner and other finalists will meet with Ivaylo Kalfin, Deputy Prime Minister of Bulgaria and Minister of Labour and Social Policy. They also received an invitation for an additional internship appropriate for their profile and career development in a company member of the Council. Victoria Radeva won the special prize – the opportunity to participate in the organization of the international conference Global Women Leaders’ Forum, which is organized by the Council next year in Bulgaria under the patronage of UNESCO, the Director General of UNESCO Irina Bokova. 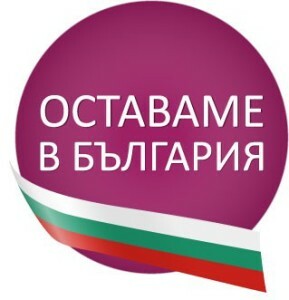 The essays were judged based on professional selection criteria, including the motivation for career development, to work in Bulgaria, clarity of exposition, original approach and others. The companies from the Council of Women in business each year accept over 1,200 trainees. About 25 percent of them have the opportunity for permanent employment after the internship. The National Internship initiative of the Council’s program in Bulgaria has the broadest profile of internship opportunities in all economic sectors in the country – finance, energy, healthcare, manufacturing, high technology, services, etc. The initiative aims to support young professionals and talents to realize their potential in Bulgaria.